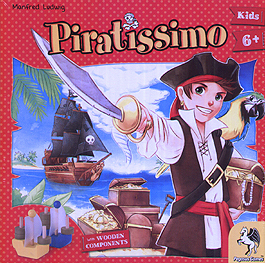 The pirates sail from island to island on their search for treasure. But watch out for that tornado! Be a pirate! Can you manage to board the other ship. The first player to return 9 treasure to their harbour wins.